Su Xiaolin (蘇小林 Su Xiaolin / So Shourin) is a vulpine therian from Heixiejing, Quanshui. She is the wife of Qinglong. Xiaolin has bright pink eyes and long braided jade hair. She has a very keen sense of her surroundings, making it a hard task to approach her without being spotted. She loves her husband very much and there are no days that have gone by without her thinking of him. In battle, she wields a pair of hidden long thin claws and an a seemingly unlimited supply of throwing knives in her sleeves, utilizing multiple light strikes rather than a single powerful strike. Xiaolin can cook various traditional Yaohu dishes, but the prefers dumplings most. Once recruited, she usually sits near a tree and talk to other female characters. She is always accompanied by her pixie familiar named Xiaoke'ai. Su Xiaolin is a borrowed concept from Buster Wolf's character, Xiao-Lin. 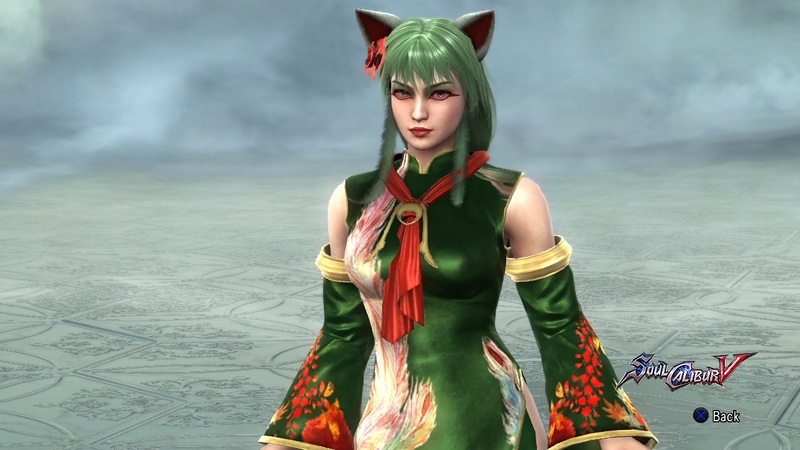 Her family name was taken from Fengshen Yenyi character, Su Daji. Xiaolin is 157 cm tall and weighs 42 kg. Perseonn Balthasaar: For use with Japanese voice. 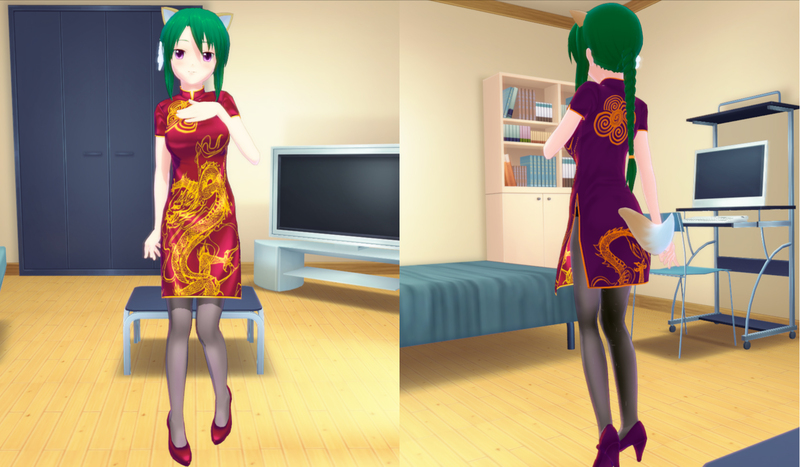 This outfit is based more on her other medias, using a Red qipao paired with leggings. 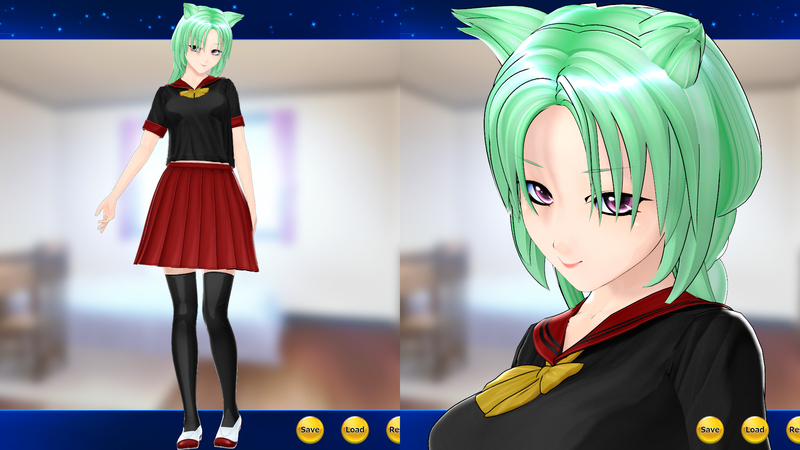 I wanted to use the cat ears, but it did not look good on her. Buster Wolf: Xiaolin's original concept for Perseonn's fiction when her race was Faerie. Since her race change to Yaohu in 2011 this concept for Xiao was discontinued and passed on to Xi-li Rin. Buster Wolf: Xiaolin's Witch outfit that was used during a Halloween event at Soulgateway forum. This was later integrated into the fiction storyline. Buster Wolf: Xiaolin's outfit worn during her mourning time after Qinglong's death before she began traveling. 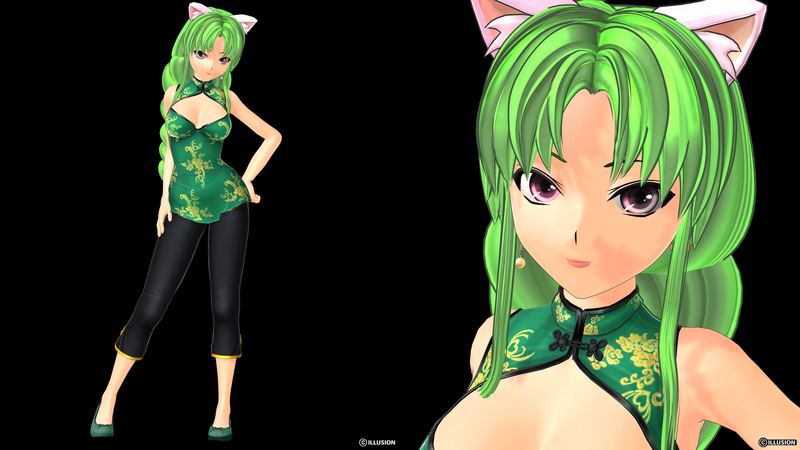 This outfit was made in SC5, but will not be added to the site. Buster Wolf: A sort of transcendence form she acquires by connecting two magatama she carries around with her. With Xiaolins race change to Yao Hu this outfit was abandoned. Buster Wolf: Training styled outfit for Xiaolin when she started to learn how to fence when her race was Fairy. 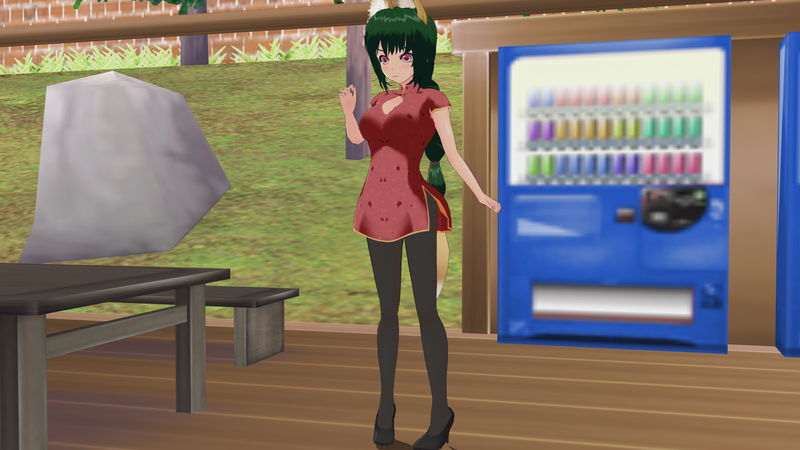 This outfit was abandoned with her race change to Yao Hu. Buster Wolf: Christmas themed outfit. This never returned in later games even during the holiday season. Perseonn Balthasaar: For use with Japanese Voice. Buster's Xiao-Lin who has a fixed time place in fiction. Xiaolin's race is Yaohu, a race of werefox. They can transform into a fox when needed. Xiaolin actually wears her mask sideways and only wears it when she is about to transform into a fox. Different from what Buster uses in his original story, Fantasy Warriors, where she uses a Three-sectional Staff, she uses a pair of huge claws instead. This is actually to diversify the weapon setup of the entire fiction cast and compensate for her short height. Buster Wolf: Remake of the original outfit with the limitations SC4 provided. 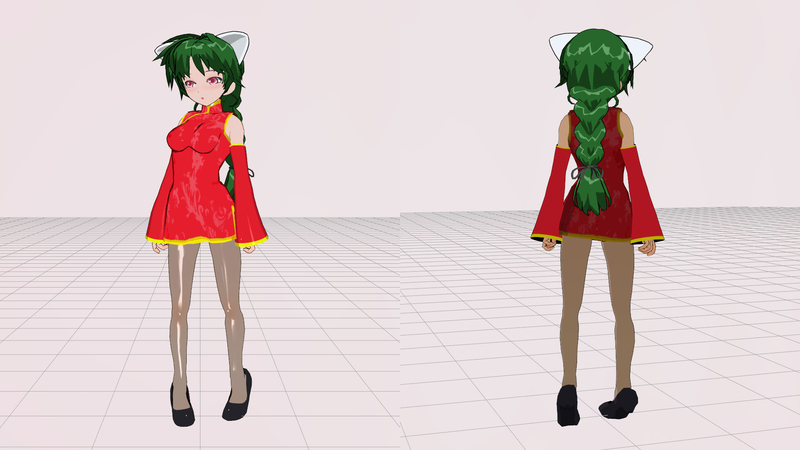 As of Xiaolin's race being change to Yaohu (and name removing the hyphen) this outfit was discontinued and passed on to Xi-li Rin of Dark Time. Perseonn Balthasaar: Modified color of her SC4 look. 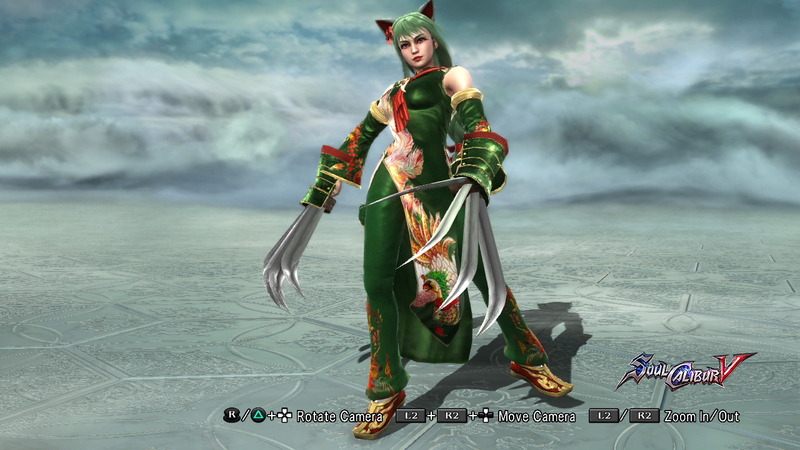 The change to Red instead of Green somehow makes her similar to her original SC5 look. Her color scheme is #084, Acrobat. Buster Wolf: Personally I do not like this rendition as Red + Purple is her mother color scheme which doesn't look as good with Red as the main color. Perseonn Balthasaar: This is actually better than what I envisioned. Apparently Xiaolin looks better in Green. Buster Wolf: Fixes one problem I had with Costume 1 (the color), but present another problem (style looks awkward with the clothing), though after seeing Lan-Fa I appreciate the clothing more with Katars, but Voldo's movements don't work well with it. This is a borrowed concept from Buster Wolf's Fantasy Warriors. Perseonn Balthasaar: This is her new arrange costume, which emphasize on looking daunting, while closely resemble Buster's Soul Calibur V counterpart. Perseonn Balthasaar: Actual Xiaolin does not use the orb, just a pair of really long claws. Perseonn Balthasaar: The second outfit is a tweaked and recolored version of her first outfit. Her color scheme is #84, Acrobat. Buster Wolf: Recreation of her Witch outfit from SC3 which was later integrated into the fiction story line. The only outfit of this Xiao that was made by me instead of Perse. Xiaolin's fiction Chronicles version, adapted to fit Dynasty Warriors setting. The moveset accurately represents her style, with long claws as her main weapon and throwing knives as her secondary weapon. She was remade to fit the newer SC5 concept.